LOS ANGELES - Heavy D, the self-proclaimed "overweight lover" of hip-hop who became one of rap's top hit-makers with wit, humor and a positive vibe, has died. He was 44. Lt. Mark Rosen of the Beverly Hills police said Heavy D died in a Los Angeles hospital Tuesday after collapsing outside his home. Rosen said Beverly Hills police officers were dispatched to Heavy D's condominium building Tuesday morning after receiving a report of an unconscious person laying on the walkway of a building. They found Heavy D was conscious and communicative but had difficulty breathing and was transported to Cedars-Sinai Medical Center, where he later died. Rosen said Beverly Hills detectives found no signs of foul play and believe his death is medically related. He said Heavy D "was returning home from shopping. He experienced difficulty breathing while walking into his condominium building. He was being assisted up to his apartment by building personnel when he collapsed in an exterior hallway." The last tweet from Heavy D, who frequently filled his timeline with positivity, was posted Tuesday morning and read, "BE INSPIRED!" Dwight Arrington Myers, the rapper known as Heavy D of Heavy D and the Boyz, and his crew released their debut album "Living Large" in 1987. Their hits included "Now That We Found Love," "Who's the Man" and "Somebody For Me." The New York-born rapper was one of the genre's most integral stars in the last 1980s and early 1990s, as it relied on new voices and star power to fuel its phenomenal growth in the mainstream. The deep-voiced rapper's earliest hit, "The Overweight Lover's in the House," played up his hefty frame. But while that nickname would stick, his weight did not become part of his shtick, like the Fat Boys. What drew people to his music was his singular style, which celebrated an easygoing, party vibe  sometimes humorous, sometimes inspiring and almost always positive. "Most know Heavy D as a rap icon," said actor-comedian Tommy Davidson. "I considered him a brother who made an indelible mark on me as a performer and a human being. I miss him already." In the mid-1990s, Heavy D became president of Uptown Records, the label that released most of his albums and was also the home to acts like Mary J. Blige and Jodeci. He also created the theme songs for sketch comedy shows "In Living Color" and "MADtv" and acted on such TV shows as "Boston Public," "The Tracy Morgan Show" and "Law & Order: SVU," as well as in the films like "Life" and "Step Up." "I feel sick," tweeted rapper and "Law & Order" actor Ice T. "Everyone should stop for a second, take a breath and realize how lucky you are to be alive, then appreciate every second with your luv ones." Combined with the fusion of the "New Jack Swing" musical style, Heavy D was a constant presence on the charts, and also a go-to figure for several performers. He collaborated with such artists as Michael Jackson on the 1991 single "Jam" and the 1997 duet "Keep It Coming" with B.B. King. "My heart goes out to the family and (loved) ones of Heavy D," tweeted La Toya Jackson, who performed with him at a tribute concert for Michael Jackson last month. "I am sooo sorry for your (loss). You will be in my prayers." 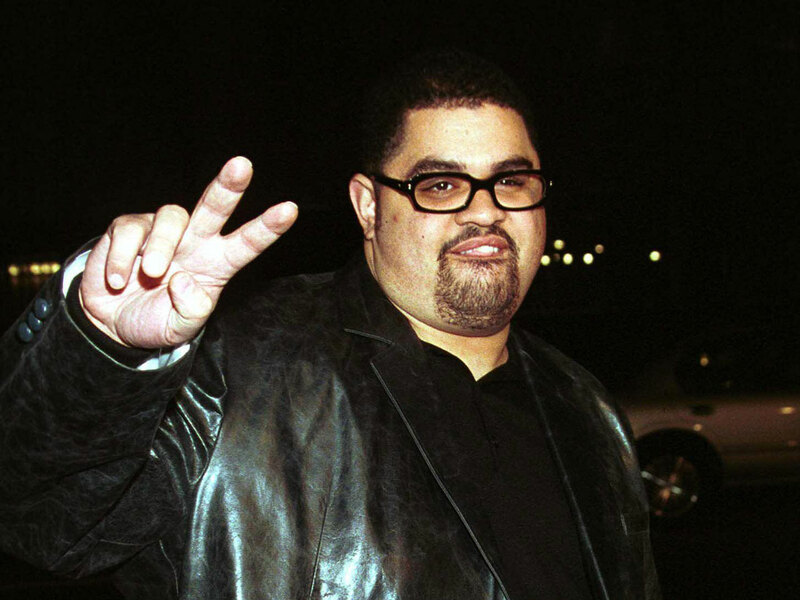 The late Notorious B.I.G., Questlove and Sean Kingston were just a few of the artists who counted Heavy D as an inspiration. "We had a lot of great times touring together," tweeted MC Hammer. "He had a heart of gold. He was a part of what's good about the world." Heavy D wasn't as successful with his later Boyz-free albums. He attempted a reggae-fueled comeback in 2008 with the album "Vibes," which didn't contain any rapping. He returned to his lyrical roots on his latest album, "Love Opus," which was released in September, and he performed a medley of his past hits at the 2011 BET Hip Hop Awards last month. "I'm so glad that we got to work together for his performance at last month's BET Hip-Hop Awards," said Stephen Hill, BET's president of music programming and specials. "Hev was focused, energetic and happy. He worked hard, as he always had, to excite the crowd. Our condolences go to his family and specifically his daughter who he doted on. He was a unique figure in hip-hop and will be missed." He most recently had a cameo appearance in the new movie "Tower Heist," starring Eddie Murphy and Ben Stiller.